Hi just to let you all know that the next issue of World Of Cross Stitch, on sale on Dec 8th I believe has a feature on me, which I am really pleased about. Also it gives me the opportunity to do another lovely FREE GIVEAWAY. This is open to all readers of the magazine who follow my blog and all of those who already do. Thanks so much for dropping by ! 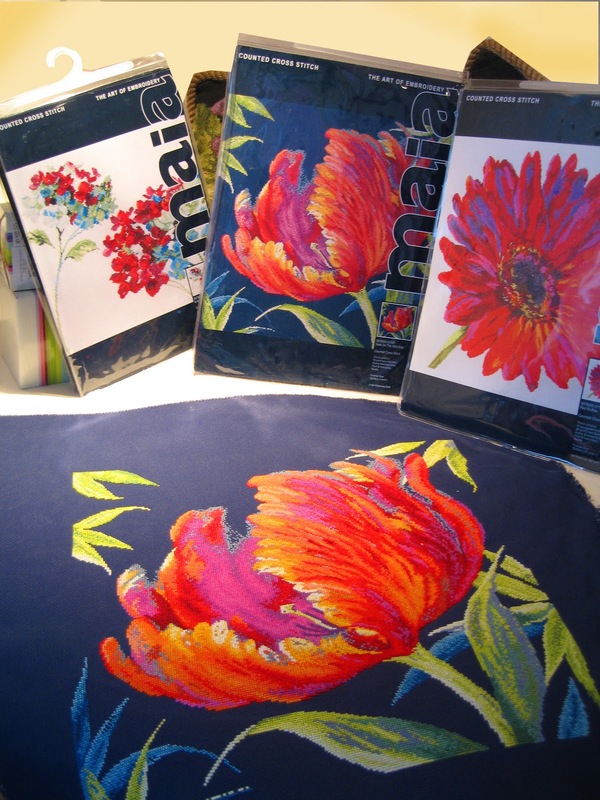 The PRIZE is Three Maia Cross Stitch Kits worth over a £100!! Plus a Nel Calendar and diary. All you have to do is join my blog and post a comment below. I love hearing from you all. 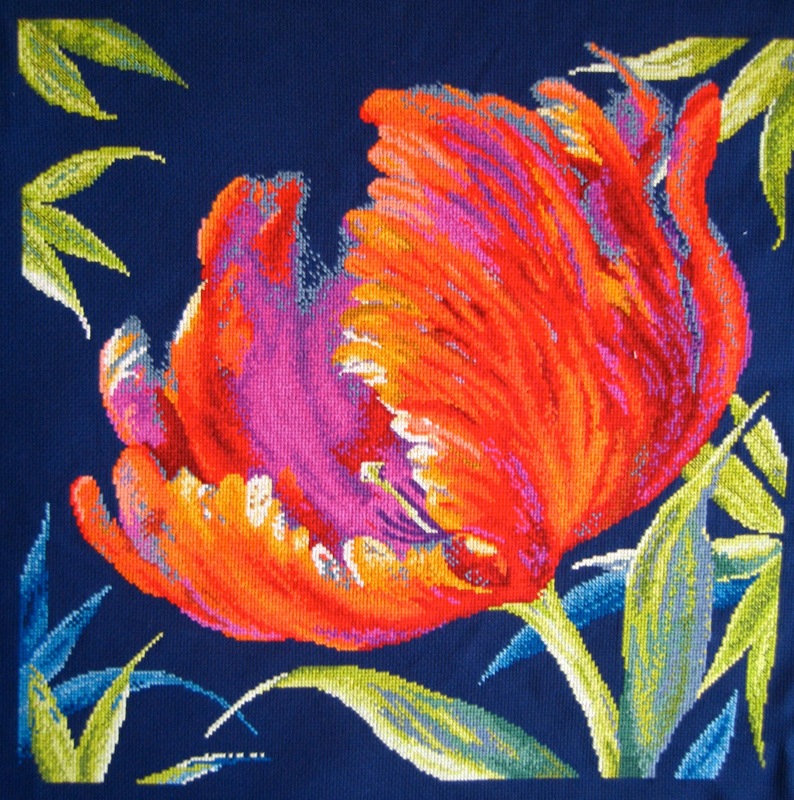 The kits are of such a high standard and they have interpreted my paintings beautifully, that I hope you will enjoy doing them or sharing them. Well it's getting colder and colder and yes the first snowflakes fell on the car this week and it's getting really cold at my studio. I am painting avidly at the moment towards my big 25th exhibition next year and have just been to see the venue again to measure up and try to work out actually how many paintings I will be able to fit in. Coupled with racing all over the country taking our son to University open days, there has been little time to anything Christmassy. December is always sooooo busy for everyone. I will select the WINNER ON MY BIRTHDAY 30TH DECEMBER as that seems like a nice thing to do on that day! oh, my, they're beautiful! would love to win your cross stitch kits and work them! thannk your for the opportunity to do so. Wow, what a terrific giveaway. Your art is beautiful. I'm already a follower of your blog. Thanks! What a lovely giveaway - I sure hope to win. Breathtakingly beautiful. Thanks for your generosity. Lovely site and great prize too. Hi all of you thanks for your lovely comments will let you know on my birthday the 30th December who has won! Happy Christmas! I just wanna let you know that I have received the packet today - oh my God what a price. I'm so happy and thankful. Looking forward to using it all.